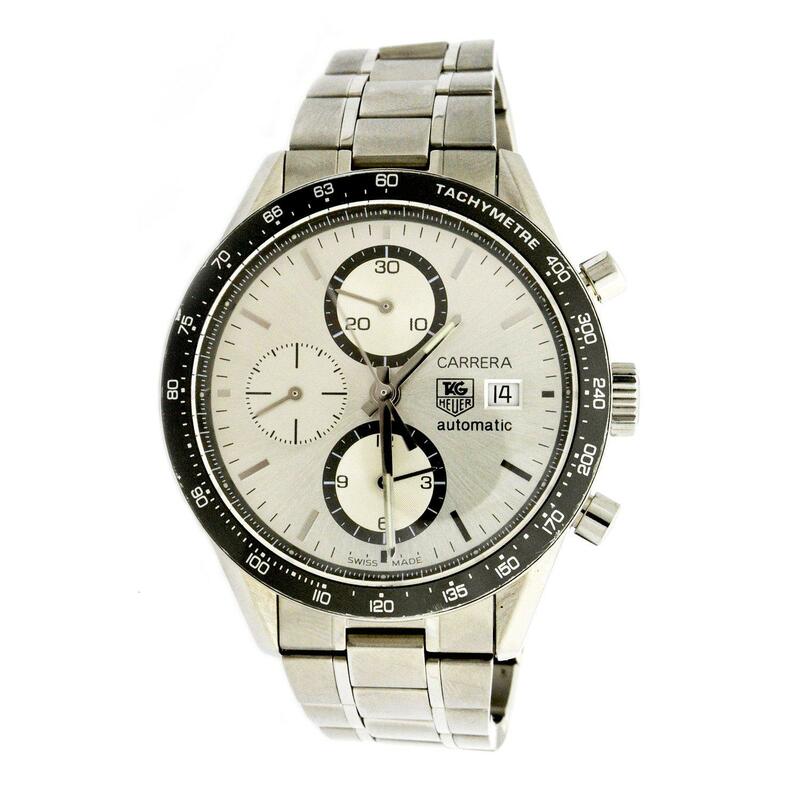 Mens Tag Heuer Carrera chronometer stainless steel wristwatch. Measures approx. 2 inches in diameter. Wrist size 6.75 inches.